As a child I travelled a lot with my family, always in Europe. But I’ve wanted to go to South Africa since we learned about it at school. As I got older, I became more curious to see how life elsewhere was lived. My girlfriend Samantha and I made a pact to visit a different continent each year. In 2017 we chose Asia, then in 2018 we decided on Africa. 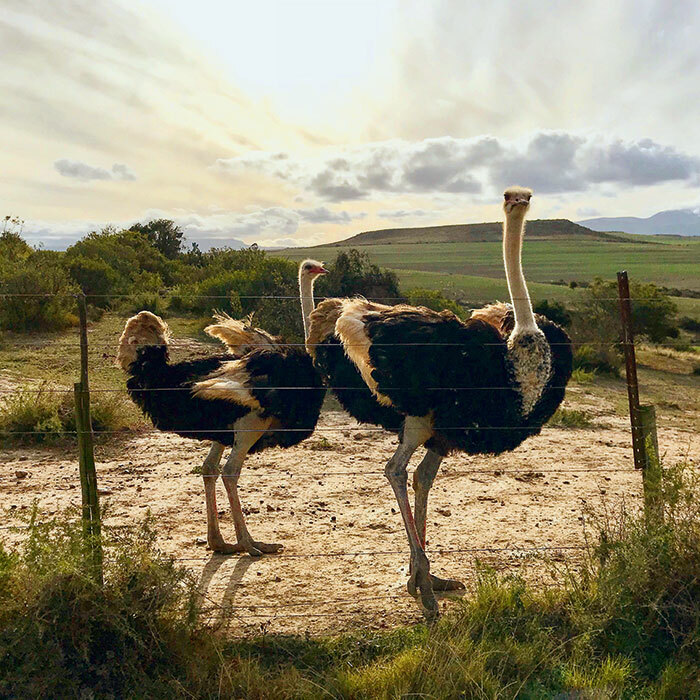 For me, it had to be South Africa: wildlife, huge landscapes and such history. I watched a lot of documentaries about Nelson Mandela: the freedom fighter who spent 27 years of his life in a prison then eventually became the first black president of South Africa – it’s fascinating. We went from places where people literally had nothing, and children ran to greet you in bare feet, to Cape Town where the seaside boulevard is lined with cafés and restaurants. Over a month we drove from Johannesburg to Cape Town. Our car broke down on day four and we were stranded in Jo’burg, but, contrary to reports, everyone was really helpful and made sure we got home safely. 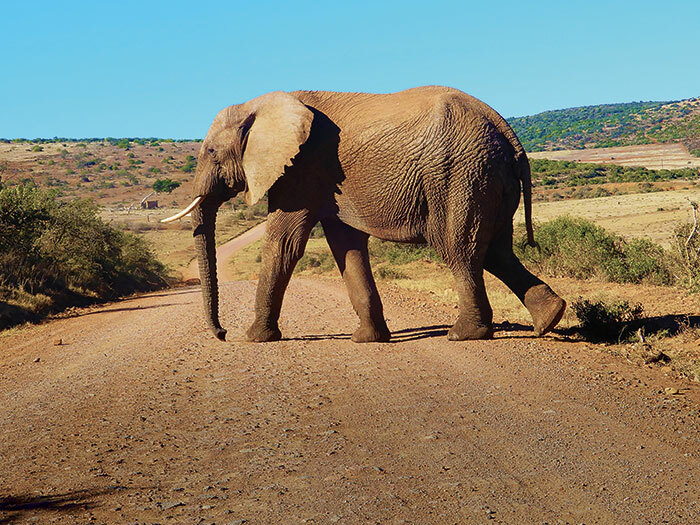 After spending a night at the beach, seeing the wild animals in Addo Elephant National Park was magical. Elephants are threatened by poaching, but thanks to this park the population here is thriving. They showed no fear, walking beside, in front of and behind the car. To be able to get so close to an elephant or lion is so special, particularly when they have all the space they could wish for. The animals are relaxed and beautiful – seeing them in their natural habitat is unbeatable. Along the Garden Route, the landscape changed from ochre vistas to lush green countryside. In Knysna we stopped to admire the wild Atlantic Ocean hammering the shore. And in Oudtshoorn, famous for its ostrich farms, I had the best steak I’ve ever eaten... ostrich, of course. On the way, we came across a viewpoint that overlooks the ‘Map of Africa’ – a forested hill that’s shaped like the African continent. It’s almost symbolic. Heidelberg was our last stop before Cape Town. We slept on a farm and in the afternoon drove to Cape Agulhas, where the Indian Ocean borders the Atlantic. And along the coast, we took to the water from Hermanus to watch whales breach the waves. Eventually, we reached our last stop: Cape Town. 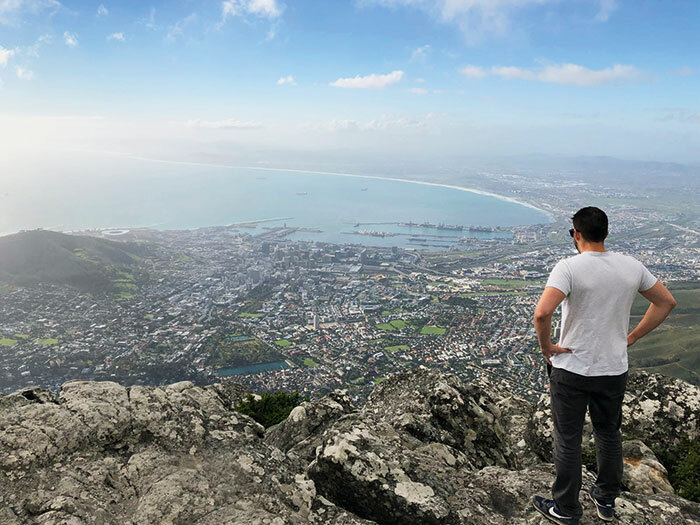 We felt the wind on our faces at the Cape of Good Hope, saw African penguins at Boulders Beach and, after having travelled such a distance, it was fantastic to stand atop Table Mountain and look out across the city – it’s so rare to be so high, yet so close to the sea. 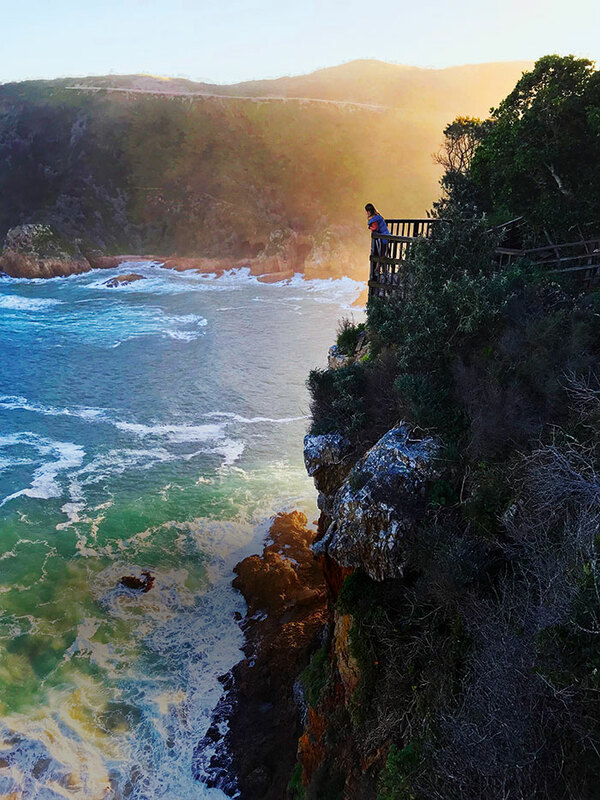 Follow in Walter's footsteps along the Garden Route with our range of South Africa holidays. Make an appointment with a Travel Expert to find out more.